I love plantains! 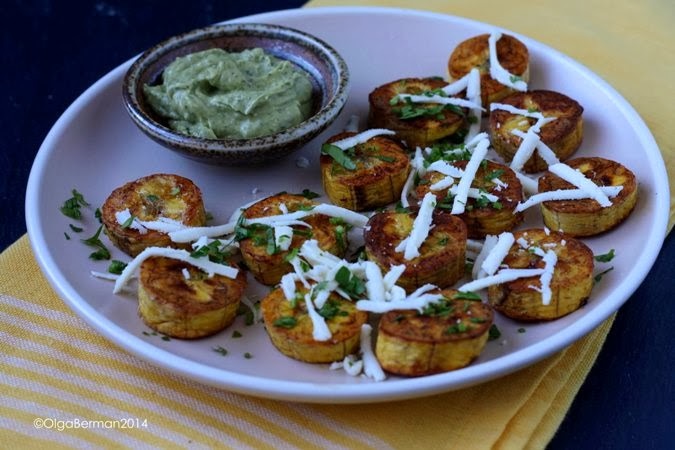 My friend Laura makes the best fried plantains: they are so good, she always makes sure each person gets the exact amount so there will be no fighting over the last piece! Alas, Laura lives in CA and I don't get to see her often enough. Thus, I'm left making my own plantains. I've fried them in the past and even made Puerto Rican Lasagna with plantains, but this time I decided to bake them for a healthier version. 2. Brush a cookie sheet with olive oil. 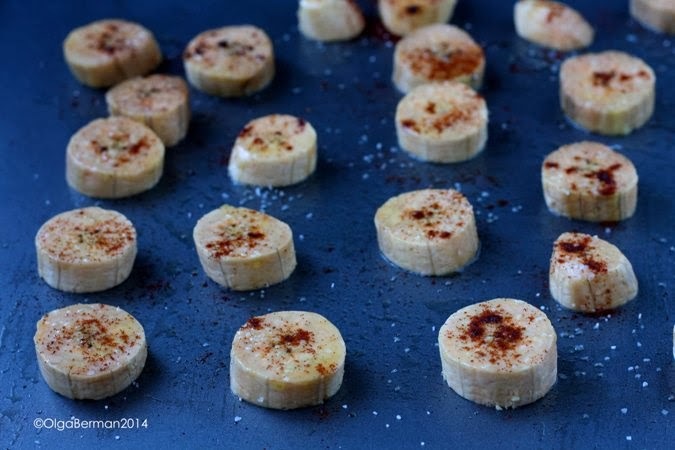 Place plantains on the cookie sheet and season with salt and chipotle chile. 4. Puree the ingredients for the dip. 5. 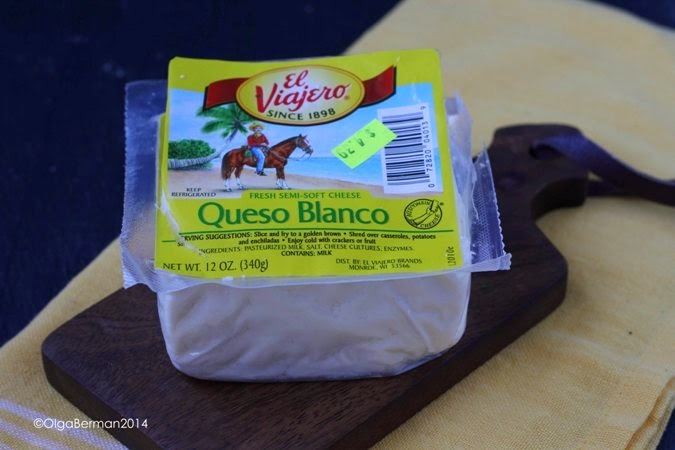 Serve baked plantains topped with queso blanco and cilantro with a side of avocado dip. 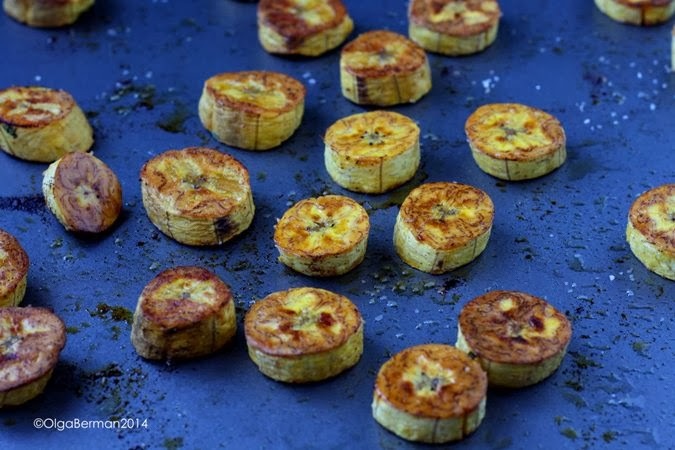 These baked plantains were awesome! I do recommend you eat them immediately because they get soggy as they sit around. 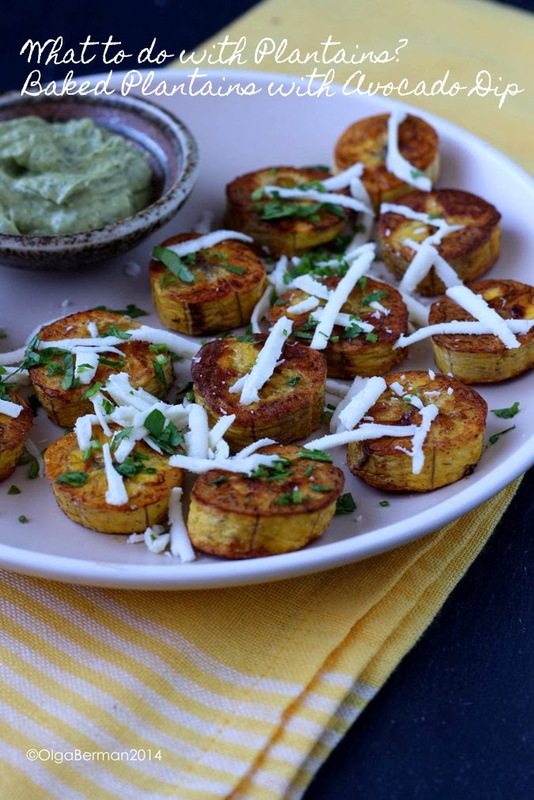 These could be a fun appetizer or a side dish. 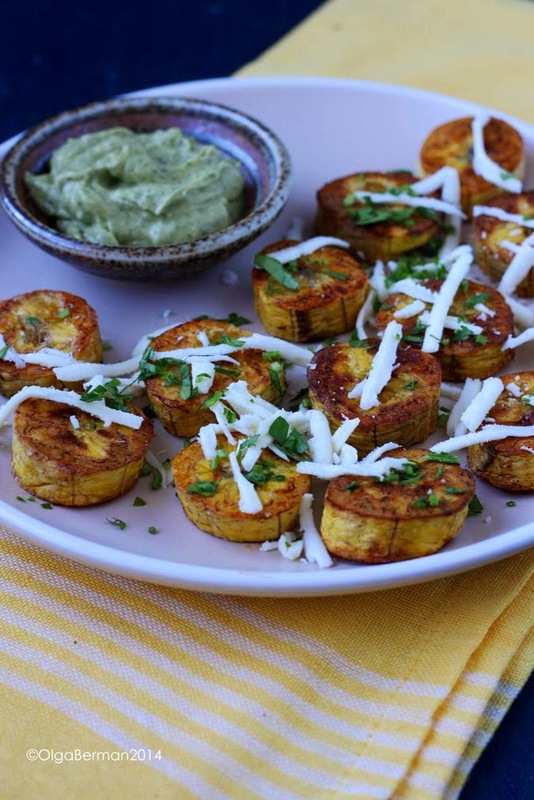 You can also melt the cheese on plantains and then top with fresh cilantro. 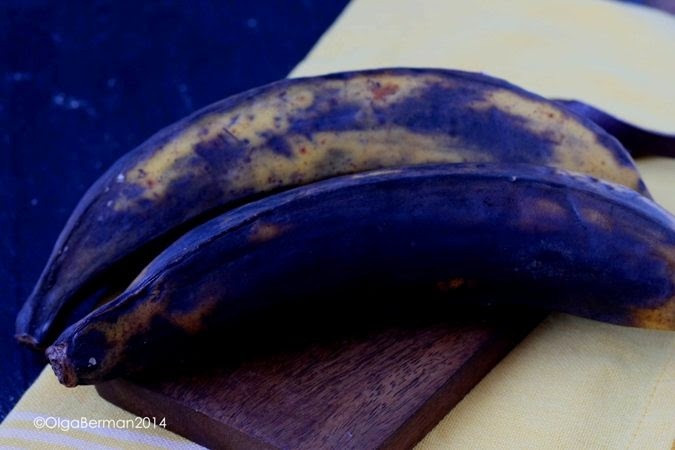 Have you cooked with plantains? What did you make? I've never cooked them before, but I've had them, and I think I would love your version. The avocado dip sounds wonderful. It was originally a dressing for my lobster tail salad, but it worked great as a dip too!